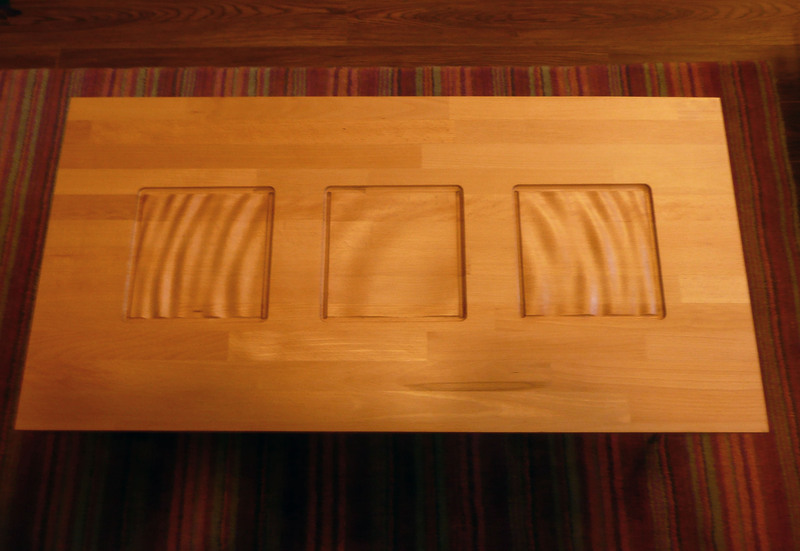 As alluded to in my previous post, I have been working on a coffee table. The idea was to use the idea of carving waves into wood but make something also functional as well as nice to look at. 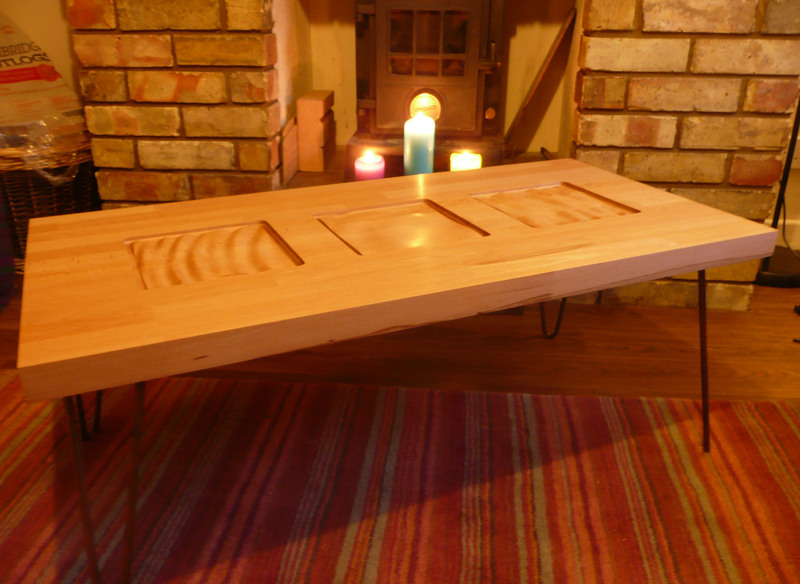 I bought a beech kitchen work top and decided to use that as the table. I also bought four hand made hair pin legs to support it. 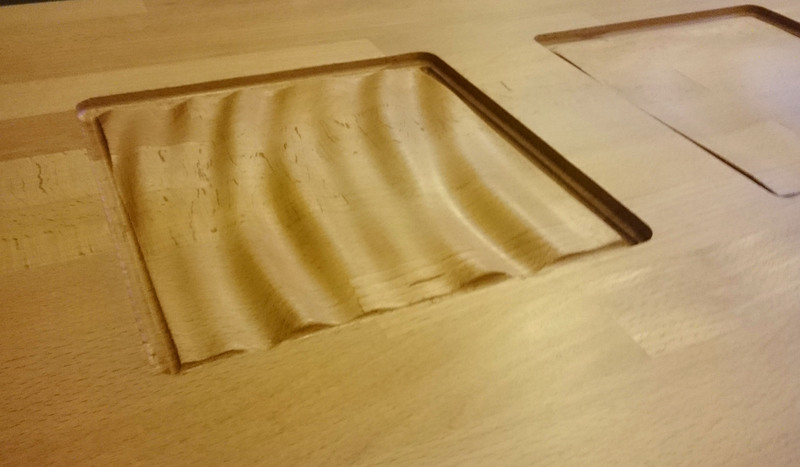 Beech carves amazingly and was a dream to machine. So it was a simple job of routing out the ripple waves. The surface was finished with sand paper all the way up to 600. This basically left it mirror smooth. 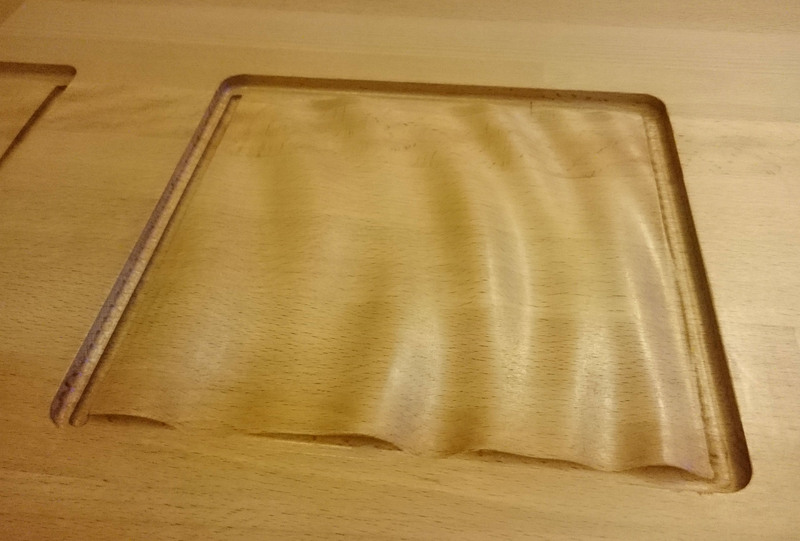 I also ditched my usual Tung oil in favour of something more hardwaring and decided to try out Osmo polyx oil. This stuff is amazing, a little more pricey but goes a very long way so actually cheaper in the end. Plus the finish is fantastic. Pretty pleased with the results.